Economics can be useful. By this I dont mean the quasi’mathematical faffing about that some , including practitioners, think of as economics. Nor do I mean forecasting, something economists are both poor at and addicted to doing. I mean the way of thinking, the juxtaposing of scarce resources versus unlimited desires. In higher education this last while we see how useful it might be. This entry was posted in Blogpost, Journalism and tagged Academia, CAO, irish universities, points race, third level on August 27, 2015 by brianmlucey. 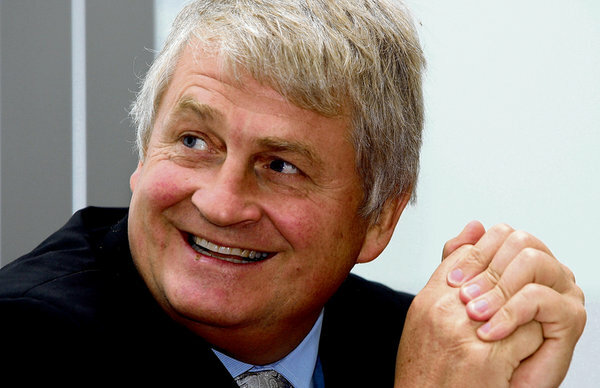 Denis O’Brien and the constitution…again. This entry was posted in Blogpost and tagged constituton, denis o'brien, waterford whispers on August 8, 2015 by brianmlucey. The above is of course satire. 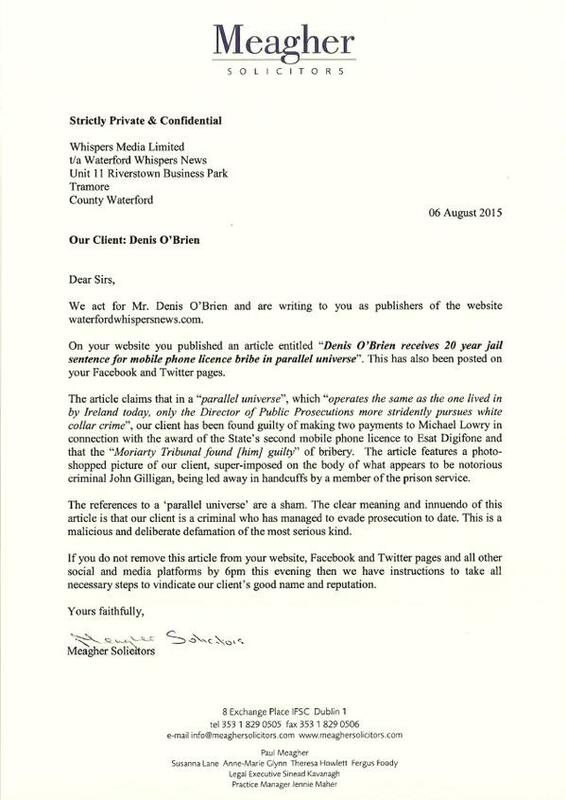 This entry was posted in Blogpost and tagged denis o'brien, satire, sue, waterford whispers on August 6, 2015 by brianmlucey. 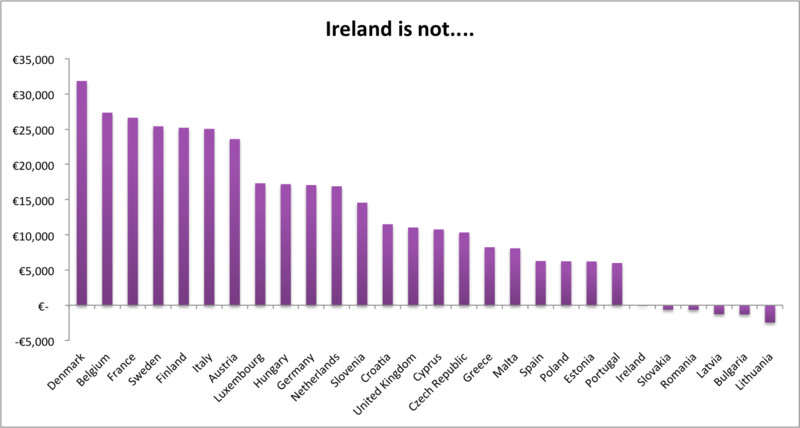 Even the HSE CIO says PPSN would work as a health ID so why a separate number? So yesterday, and this was news to me, we got another unique one per person number. Apart form the PPSN, used for pretty much every state and many non state ID purposes, and the new pupil number for the POD database, we are now to have a unique IHI health ID number. This project is uncosted, and hasnt really been told not to mind sold to people. 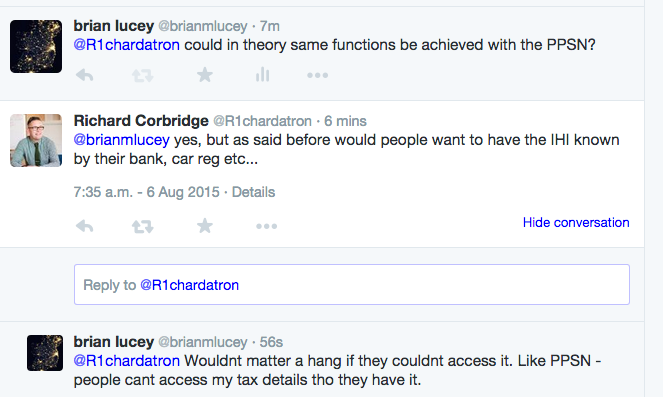 I asked the Chief Information Officer of the HSE if the PPSN would work. Yes. Ok, there are a host of data protection issues, but the reality is what the new IHI will be is a key to identify patient details on a database. That database, and the access to same, and the security of the key etc, they will all have to be dealt with. 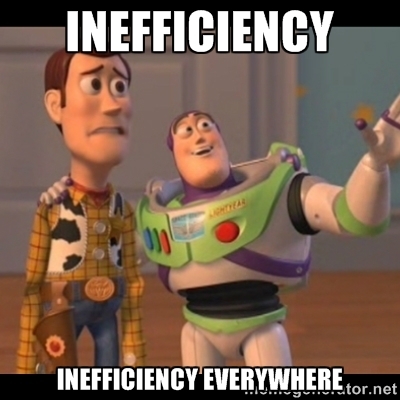 So, when the CIO says the existing state system would work, why on earth are we putting in a new one? This entry was posted in Blogpost and tagged CIO, health, HSE, IHI, PPSN on August 6, 2015 by brianmlucey. So, Denis v The Parliament of Ireland rolls on. It not being a bank holiday in Malta, where Mr O’Brien is not a tax exile, a new day a new writ. This time its to take the Dail Committee on Procedures and Privileges to court to …well, who knows. This results of course from the same CPP ruling that there was no breach of procedure or privilege in Catherine Murphy TD reading into the record allegations on REDACTED. Err…hang on. This entry was posted in Blogpost and tagged Committee on Procedures and Privileges, Dail, denis o'brien, parliament, REDACTED, vexatious litigant on August 3, 2015 by brianmlucey.